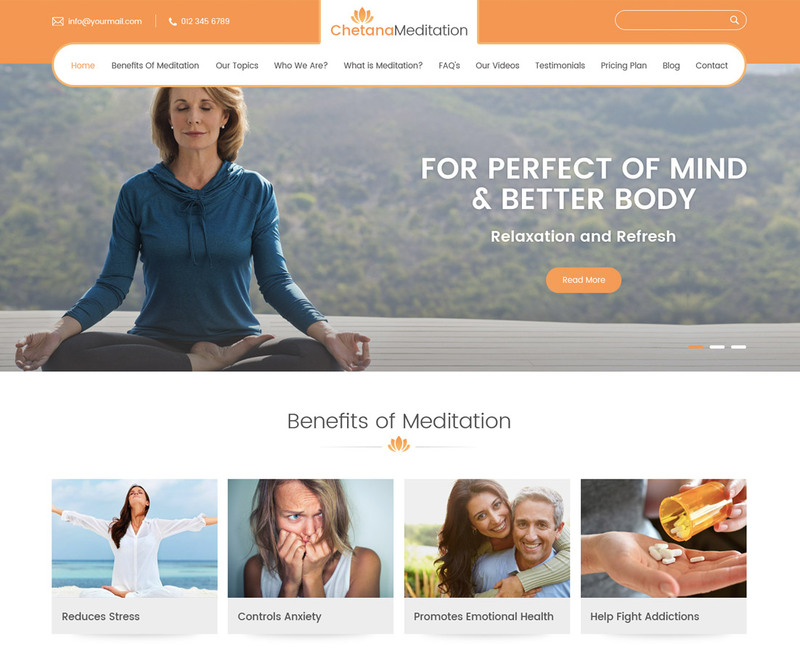 This free meditation yoga WordPress theme is clean, modern and stunning with great design to make an outstanding website that will be the face of your professional work and services. It is best to promote good health in the minimum budget without compromising on the quality. It has fluid layout that adjusts on all device screen size and super smooth navigation helps traversing the website easily. This free meditation yoga WordPress theme is flexible to be used by yoga class, fitness trainer, personal fitness coach, physiotherapist, meditation class and all businesses and websites concerned with fitness industry. Whether you run a small yoga centre down the corner of a street or have an established brand of workout and gym centres in multiple countries, this theme can be used for both as it is multilingual and hence can serve in many languages. It works comfortably with third party plugins; WooCommerce is integrated with it so you can start selling gym equipment or gym wear on the go. This free meditation yoga WP theme is linked with many social media icons to make your fitness tips and gym workout videos easily shareable on various networking platform. It is extensively documented and great for SEO.